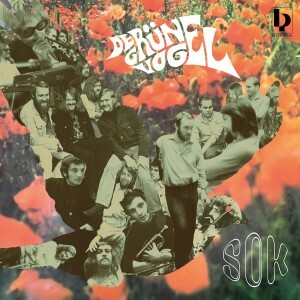 A killer outstanding East German / DDR / GDR Jazz Funk album of the early 70´s, that is maybe the best in it´s genré. This recording has slept for over 40 years in the shelf and shows the quality and high understanding & standard of jazz in East Germany, especially the East-Berlin Jazz scene. Gruppe SOK is a secret of itself, cause lots of formerly East-Germans remember about this band because of plenty of concerts & the famous youth-radio-station DT64, but are really sad, that there was never a release in these days. But the “Ministerium für Kultur” / Ministry of Culture determined, that there is no culutural demand for such kind of music….. WHAT A MISTAKE !!! Black Pearl is more than proud to present that forgotten pearl to the Jazz Funk community & music lovers worldwide !! !